Team members: Mauro Torti (full professor), Ilaria Canobbio (assistant professor), Gianni Guidetti (assistant professor), Caterina Visconte (postdoc), Jessica Canino (PhD student), Mauro Vismara (PhD student). Research activity encompasses fundamental aspects of transmembrane signalling in platelets. Circulating blood platelets have a crucial role in haemostasis, thrombosis, and in many other processes, such as inflammation, neurodegeneration, and cancer metastasis. Understanding the exact contribution of platelets to these events is a big challenge for the future and may provide promising opportunities in biomedicine. define the effects of amyloid peptides in plasma. We have demonstrated that amyloid peptides are able to activate platelets and to promote a chronic inflammation state. We are currently investigating the ability of amyloid peptides to produce ROS in platelets. A collaboration with Pula Lab, University of Exeter (UK) is ongoing to study the possible effects of amyloid peptides on endothelial cell activation. Metastasis is strongly influenced by host-cancer interactions and it has been demonstrated that platelets are key players in cancer spread as their depletion, in thrombocytopenic patients or animal models, is associated to reduced metastasis. This suggests that also the pharmacological inhibition of platelet activation could represent a novel approach to control metastatic diffusion. Federico Galvagni, Maurizio Orlandini (Department of Biotechnology, Chemistry and Pharmacy, University of Siena, Italy). Blood cell purification (platelets and neutrophils). Isolation and characterization of microparticles and microvesicles. Protein analysis (SDS-PAGE, western blotting, immunoblotting, chemiluminescence, spectrophotometry, spectrofluorometric analysis, flow cytometry). Adhesion assays under static conditions and under flow. Microscopy (phase contrast and fluorescence microscopy). Molecular biology techniques, DNA and RNA extraction and analysis, PCR. Protein purification (expression, ion-exchange, affinity and size-exclusion chromatography, HPLC, FPLC). Cell culture and transfection, analysis of cell migration, invasion, proliferation, metalloproteinases release. Genetically modified animal models (Mus musculus): Pyk2KO, PI3KbKD, APPKO. Collaborators: Dr Cesare Achilli, Post-doc; Dr Annarita Ciana, Post-Doc; Anjali Gaur, PhD student of the RELEVANCE project, Marie Skłodowska-Curie Innovative Training Networks, Horizon 2020. The scientific interests of the research group deal mainly with the basic properties of biological membranes, focusing on the erythrocyte membrane as a classical model. 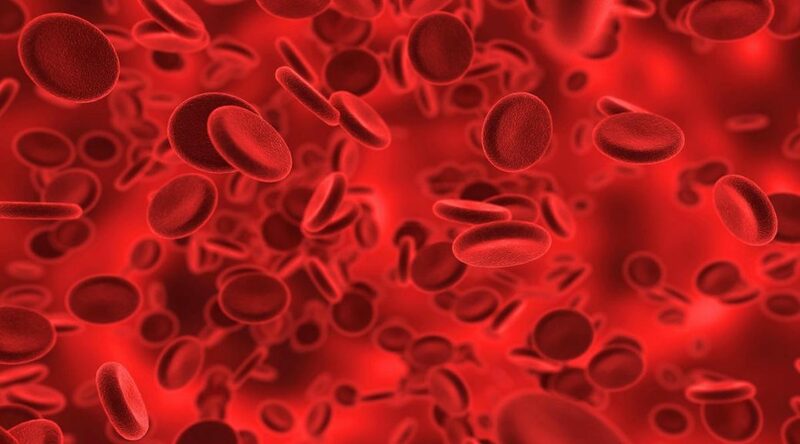 The biochemical properties of normal, pathologic, in vivo aged and stored erythrocytes and of erythrocytes produced under conditions of neocytolysis are investigated. Erythrocyte membrane proteins and lipids are studied using biochemical and biophysical methods (electrophoresis, western blotting, fluorescence microscopy, electron paramagnetic resonance, omega-alkynyl fatty acid analogs and “click” chemistry to study protein acylation) to elucidate the structure and function of various membrane domains, such as the membrane skeleton, lipid rafts, membrane vesicles, and their interplay. High-resolution separation of erythrocytes of different age is implemented in his lab to study in vivo aged erythrocytes. The oxidation of methionine residues often results in the loss of biological activity of the affected protein. Methionine sulfoxide reductase (Msr) enzymes are an important repair system for such oxidative damage. While studying Msr activity in human neutrophils, we observed a stereospecific reduction of only one of the two sulfoxides of L-Met. Our original suspect that two classes of Msr with opposite stereospecificity might exist in nature is now confirmed by several reports in the recent literature. In that study, a new method was proposed to assay Msr activity, which has been successfully adopted by several authors ever since. Neutrophils are cells of the innate immune system that engulf and kill invading pathogens by producing reactive oxygen species (ROS). ROS may induce auto-oxidation of the neutrophil structures. Msr are highly expressed in neutrophils, probably as a protective and/or repair system, in particular the selenoprotein MsrB1 whose activity and properties are actively investigated in his research group. A new research line involves the use of blood cells as tools for toxicological studies of nanoparticles. With the advent of proteomics, the screening of proteins as potential biomarkers has achieved important progresses. Detection and identification of proteins in different organs/tissues, with the aim of understanding whether they represent an attractive tool for monitoring alterations in these districts, is currently an area of increasing interest. Proteomic analysis of lymphoblastoid cells from patients affected by a rare neurodegenerative disorder (Nasu-Hakola disease). Proteomic analysis of salivary glands and ovaries from the tick Ixodes ricinus.